Providing direct access to mountains, countryside and sea, Loutra Resort offers sun terrace and outdoor pools for adults and children in Loutrakion, in Rethymno. This self-catering accommodation features free Wi-Fi. The air-conditioned apartments feature a flat-screen TV and balcony with views. A fully equipped kitchen with fridge, kettle and dishwasher is included. Featuring bath, the private bathrooms also come with hairdryer. Other facilities like ticket service, tour desk and luggage storage are offered. 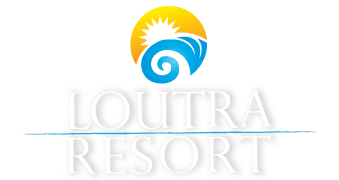 Loutra Resort is 3 km from the town's beautiful sandy beach and 9 km from the Museums and the main port in Rethymno. Chania International Airport is 62 km away and Heraklion Port is 61 km away. Free parking is available on site.